aquavitro® shrimp GH™ adds a complete spectrum of minerals to the shrimp aquarium. 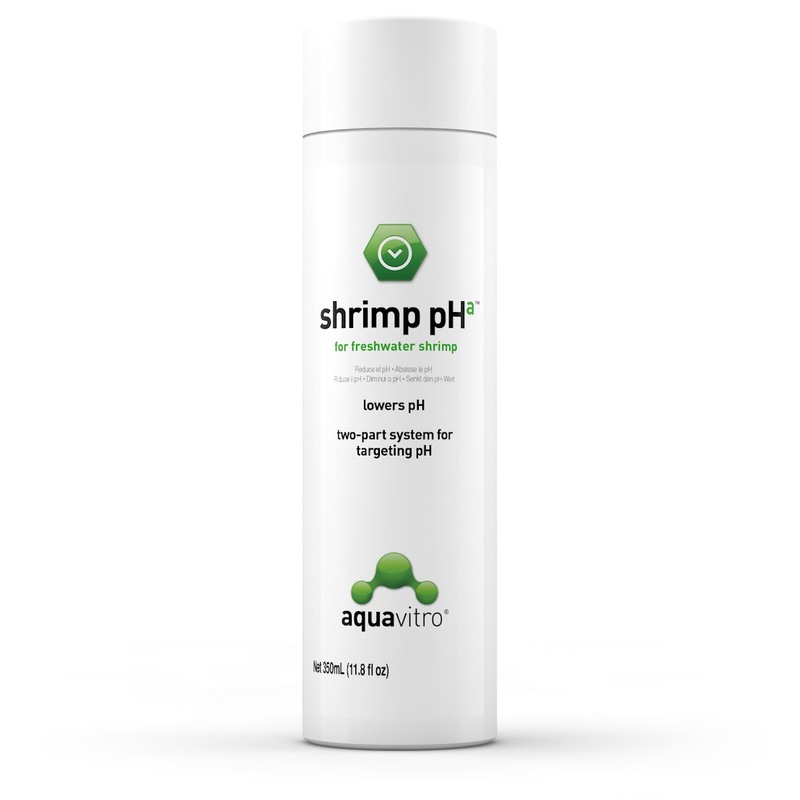 It takes into consideration both the mineral requirements of shrimp and the mineral content of their natural waters in order to create an optimal shrimp environment. 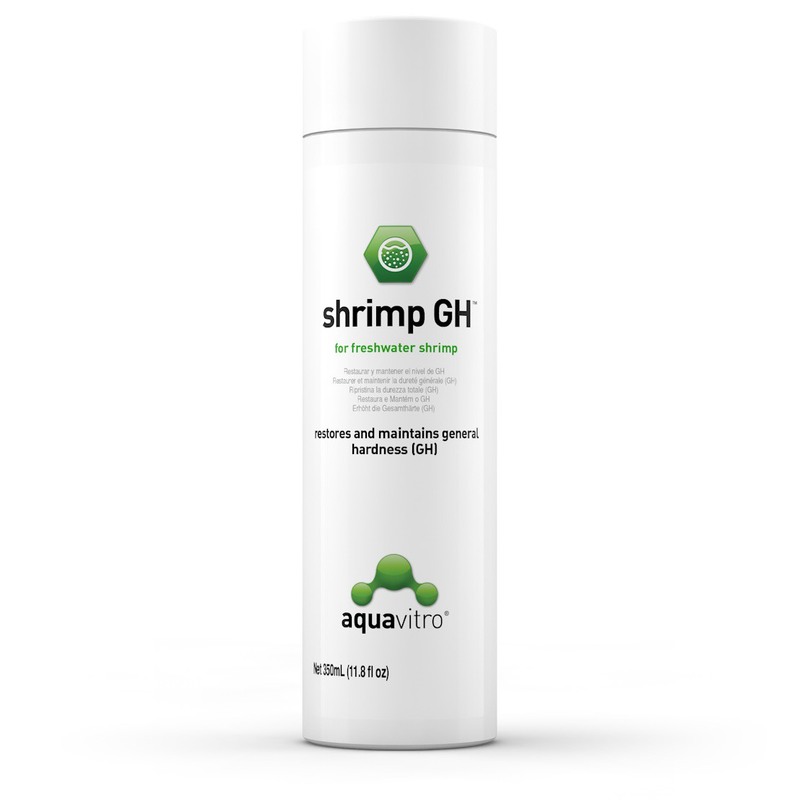 shrimp GH™ adds calcium, magnesium, potassium, and iron as well as 6 trace minerals all in the correct biological ratio for shrimp. 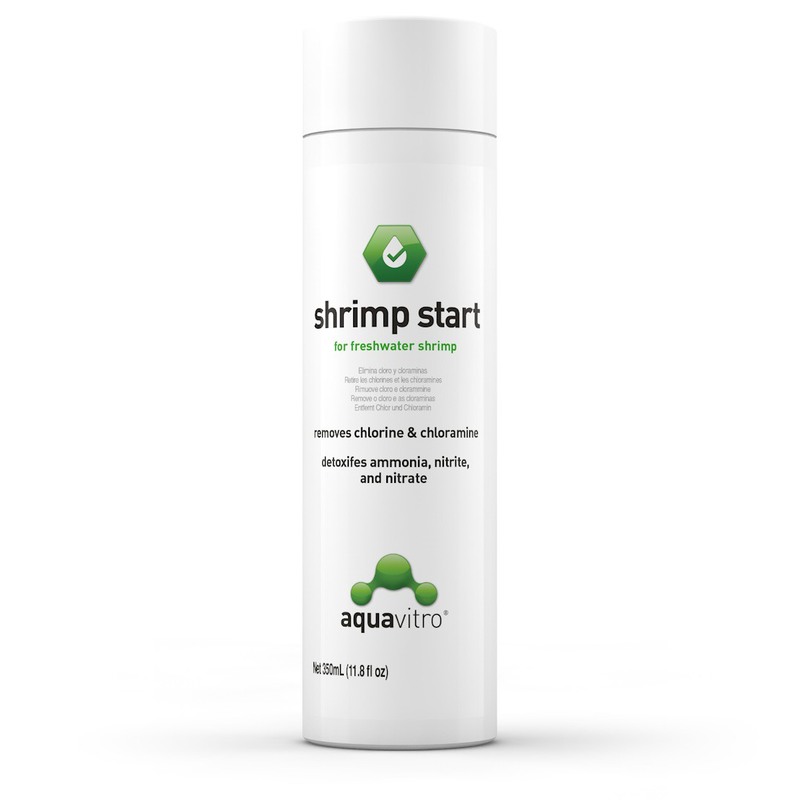 Use when setting up an aquarium and when making water changes. 5 mL (1 tsp) will raise 20 L (5 US gallons) by 2 dGH. For best results, use with RO or distilled water. If using tap water, test hardness before proceeding. Base the dose on the amount of water being changed. Do not use when simply replacing evaporated water. Note that certain substrates will also affect the hardness of the water. This is particularly the case with humate based soils.